Influential '90s lo-fi rockers Sebadoh recently dropped the Secret EP, the band's first new material in 13 years. Despite the mini-effort being a stop-gap release, the band have promised a full-length to arrive sometime early next year -- an album that would likely arrive much sooner if it weren't for another revived '90s indie rock act. "We can't really do anything until I'm done touring with Dinosaur Jr. We can't do anything until next year," Sebadoh mastermind Lou Barlow tells Exclaim!, referring to his other influential rock band, who'll drop their latest album I Bet on Sky September 18. "So we came up with the idea, let's just do five songs. Choose five out of the 20, finish them now and put them out on Bandcamp. Go totally label-less, it won't be any threat to Dinosaur Jr."
Barlow says the five songs chosen for the Secret EP, which you can listen to below, were what he considered to be the worst of the bunch, but cautions that his opinions aren't necessarily shared by the majority of his fans. "I've noticed over the years, that if I think something is bad, it doesn't mean that it's bad." The EP is a return to the ready and raw sound familiar to fans of Sebadoh, which also includes longtime collaborator Jason Loewenstein on guitar and Bob D'Amico, who also plays with Loewenstein in Fiery Furnaces and Circle of Buzzards, on drums. "If a band comes back after being away for 25 years, as a fan, I want to hear the sound of the band again," Barlow says. "You want to hear what attracted you to the band in the first place." Never one to sit still, Barlow has kept himself busy since the band released their last album, 1999's The Sebadoh. Aside from reunion tours with both Dinosaur Jr. and Sebadoh, he also released a pair of mostly acoustic solo records. "I've never stopped making music, and my experience with Dinosaur Jr., we [Sebadoh] introduced new songs into the mix and it just made everything kind of better," he says. "We forged the sound of [this] band when we were very young. So going back to it was like going back to the source." 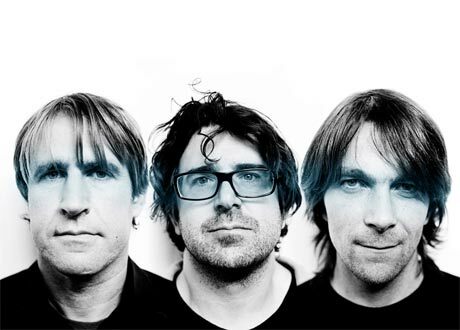 Fans, he says, can expect the same kind of sound on the forthcoming, as-yet-untitled Sebadoh LP, including one of several acoustic tracks Barlow has been accumulating these days. "We [have to] keep it simple. It's got to be drums bass and guitar, because that's what fits in a minivan," Barlow says of the album. "I'd like for us to be able to recreate what we played on a record." As previously reported, Sebadoh are currently out on a North American tour and will play a handful of Canadian stops beginning this weekend. You can see the schedule below and read Exclaim! 's full interview with Barlow here.